A beautiful, lyrical picture book about a father, his daughter, and her imaginary friend raking leaves on a crisp fall day. With gorgeous pictures by E. B. Goodale, the illustrator of the acclaimed Windows, this book about family, fatherhood, friendship, and imagination is perfect for story time and bedtime sharing all year round. 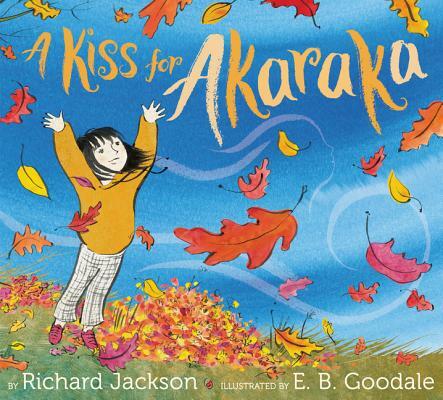 Critically acclaimed author Richard Jackson’s enchanting story about love, family, and the power of the imagination follows Lula and her daddy as they rake leaves together on a crisp autumn day. Can Daddy see Akaraka, Lula’s imaginary friend? Perhaps not, but he is willing to try, much to Lula’s delight. A perfect book about parenthood and childhood to share together. The poetic text is a joy to read aloud and is enhanced by E. B. Goodale’s bright, enticing illustrations. Just right for fans of Kevin Henkes’s In the Middle of Fall and Julia Rawlinson’s Fletcher and the Falling Leaves.